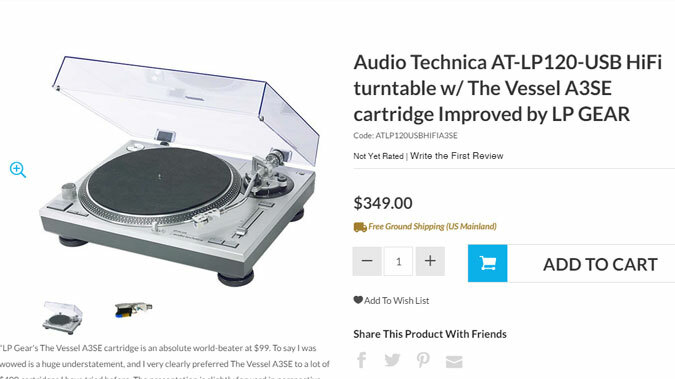 I’ve raved about the $99 LP Gear The Vessel A3SE cartridge in a previous column, calling it “an absolute world-beater at $99.” LP Gear now has a turnkey turntable outfit featuring The Vessel A3SE. You get the Audio-Technica AT-LP120-USB turntable, an upgraded platter mat and the cartridge pre-mounted and aligned for $349. Given the spectacular performance of this cartridge I don’t think anything out there can come close to this outfit for $349. It’s a great development I am excited to tell readers about, and this is now my top turntable recommendation under $500. See it at the link below.